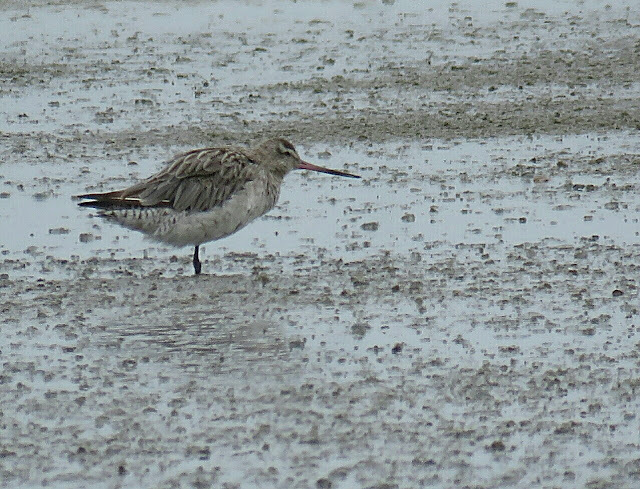 We can ID this shorebird as a nonbreeding Bar-tailed Godwit by its slightly upturned bi-colored bill, pink at the base and black towards the tip; mottled grey upperparts; off-white underparts and barred white tail. 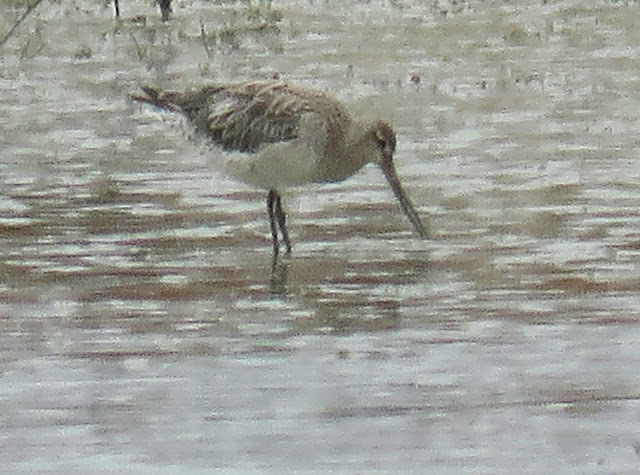 The Bar-tailed Godwit breeds on Arctic coasts and tundra mainly in the Old World and Alaska, and winters on coasts in the temperate and tropical regions of the Old World and of Australia and New Zealand. 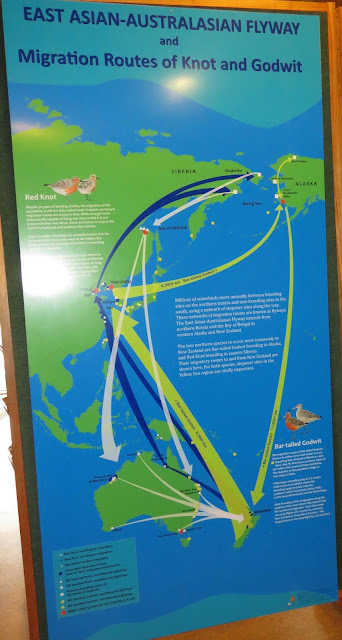 It's migration includes the longest non-stop flight of any bird (7,258 miles) and also the longest journey without pausing to feed by any animal. The last photo is of a map showing the migration route of the Bar-tailed Godwit from Alaska to New Zealand. On the migration back to Alaska the godwit stops in the area of the Yellow Sea. 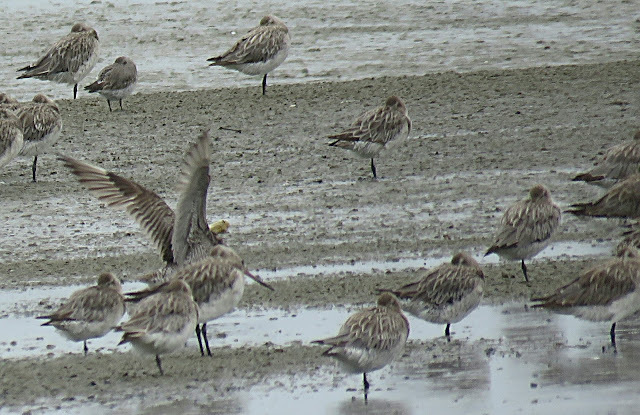 A good book on the migration of this godwit is "Godwit" by Keith Woodley, a godwit expert and manager of the Miranda Shorebird Centre. 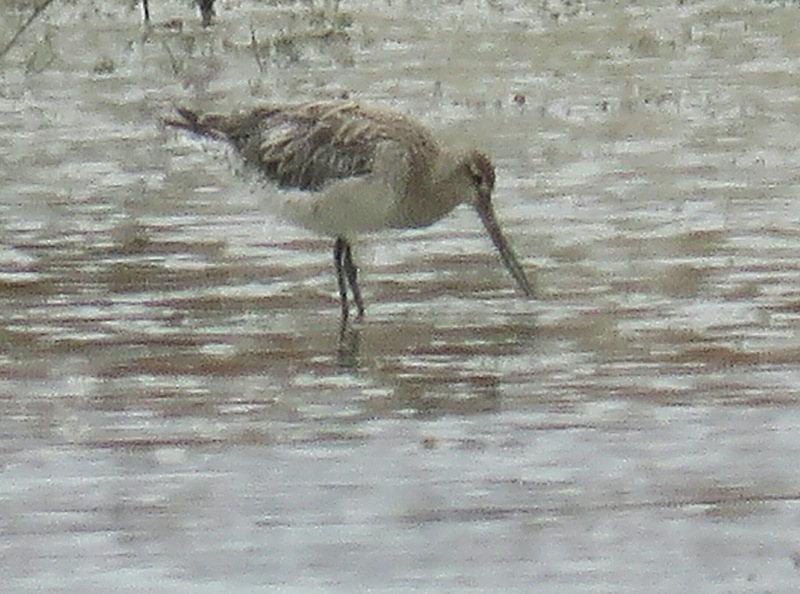 The Bar-tailed Godwit is a new species to our Photographic Life List, which now stands at 732.